Pioneers in the industry, we offer aluminum partitions from India. We have marked a distinct place in the industry by providing a high-quality array of Aluminum Partitions products and services. Offered array of products is rendered using high-quality aluminum and tools by our highly talented and experienced professionals with following the industry quality norms. 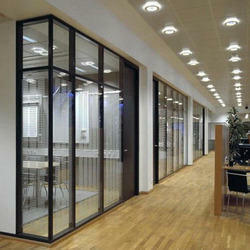 Looking for Aluminium Partitions ?